I’ve had success with time conflicts in the past. The summer after my junior year of college I got an internship through the County of Los Angeles, for which, in order to get credit, I had to work 10 weeks. It worked out that the last 3 day of my tenth week were the first 3 days of RA training at USC. Both of these organizations were staunch about time commitment, and for a while there it looked like I’d have to make a choice between the two. But that’s when I came up with a brilliant third option: oral surgery. I had to have some dental work done that summer, and what better way to get out of a double-booking than to trump both with a more important triple-booking? Today didn’t work out so well. 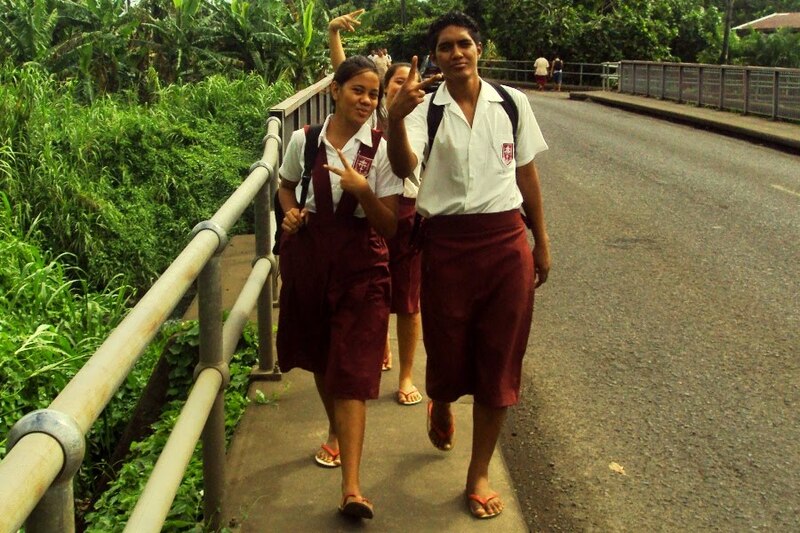 Today was the Ministry of Education’s common exam for spreadsheets—every year 12 computer studies student in Samoa took the same test today. 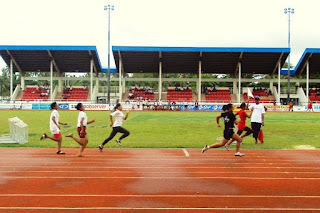 Today was also the interchurch athletics meet at Apia Park for which I was an official. 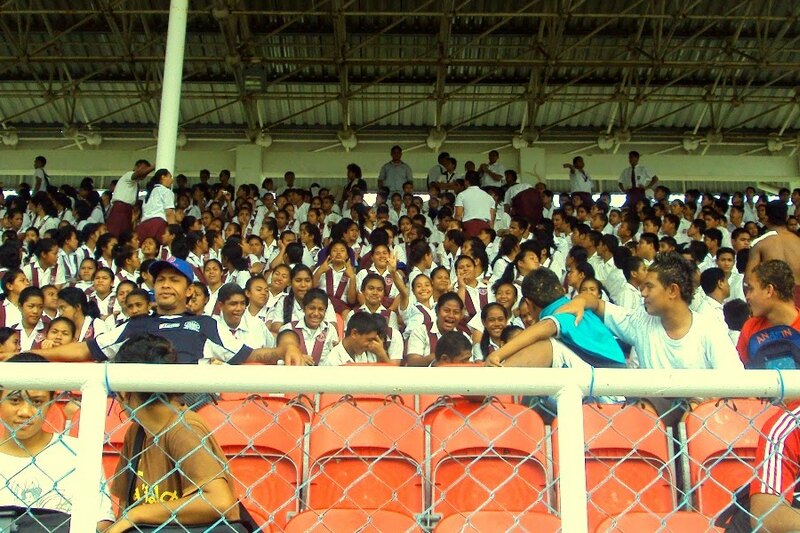 In fact no classes were held at my school today because everyone, faculty and student alike, was at the athletics meet. I admit partial blame. I was at the meeting (I blogged about it here) where the teachers rebelled and changed the dates of the common exams. I voiced no protest to holding the test on the 2nd of July. That’s the big picture. In the smaller picture, I take a lot more blame. While I was aware of the conflict a few weeks back, I neglected to tell my pule. He found out yesterday, and called me aside after the staff meeting. “When are you going to give the common exam?” He asked. “Monday,” I said with as much nonchalance as I could muster. My pule has a hands-off style of management, and I find it best in these situations to continue with my own plan until someone tells me otherwise. Or it blows up in my face. This answer satisfied my pule. I told my class we’d have the exam Monday, and even asked them to come in Saturday morning to practice for it. I printed out letters to parents on school letterhead announcing tomorrow’s session. So we get to the athletics meet this morning, and during the second event, I am summoned to meet with my principal. He was one of the field marshals today, so I met up with him next to the long jump pit. “You have to give the exam today,” he told me. “Papalii says you can’t postpone it.” I don’t know who Papalii is, but it doesn’t seem worth the trouble to argue. Today’s meet was slow. By 11:45 we were an hour-and-a-half behind schedule. I was told to gather my students and take them back to school after the scheduled break, but since that came an hour-and-a-half late, I opted to take them early. We had no means of transportation. Imagine how delighted the students were. You know that test that I said we’d take on Monday? We’re taking that today. Also we have to leave the athletics meet early. Also we have to walk. They took it in stride though. And when we passed a taxi stand on the walk back, I put up fare for 2 taxis. The test didn’t go too well. I was banking on tomorrow’s practice session beefing up their skills before Monday. They did finish somewhat quickly though, and the meet was slow enough we were able to get back in time for the last few events. Of course, we had to walk back, which wasn’t the kids’ favourite. In the end, it wasn’t too bad, but I should have, you know, scheduled a dentist appointment or something. 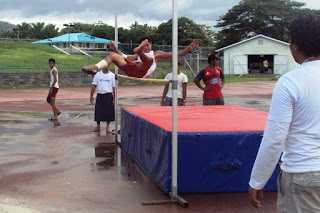 High jump. This particular jump was successful. 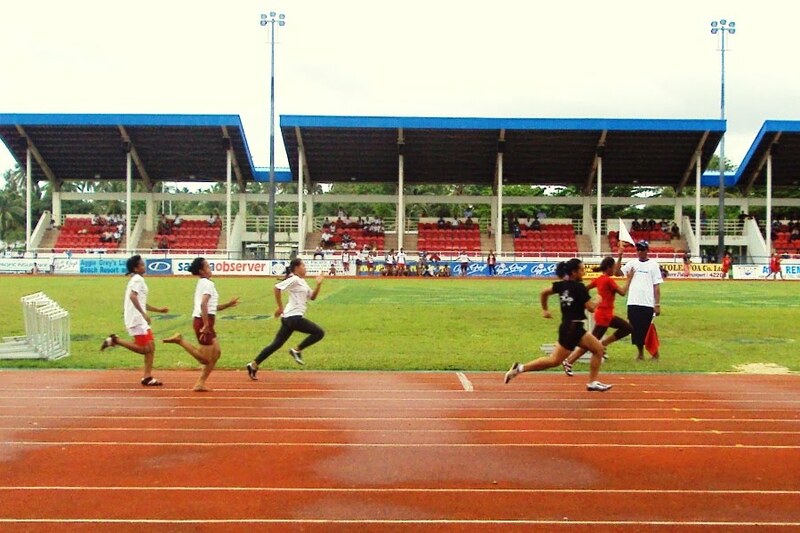 The intermediate girls' 100-metre dash. My school in the grandstands.